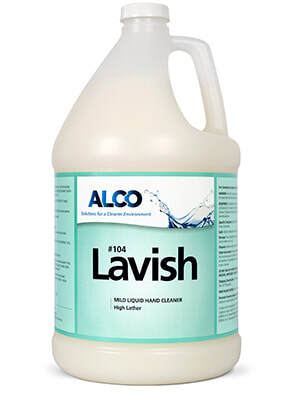 Alco Lavish - Alco-Chem, Inc.
A highly effective, lathering hand cleaner that is economical in cost. Highly concentrated, may be diluted with water. Removes dirt, grease and many other stain producing elements common to the industrial and commercial workplace, while leaving the skin soft.